Four days later, Gideon Welles wrote in his diary: “Congress is getting restive and discontented with the financial management. The papers speak of the appointment of Field, Assistant Secretary, to be Assistant Treasurer at New York, in the place of Cisco. I doubt if any one but Chase would think of him for the place, and Chase, as usual, does not know the reason. But Field has talents and Chase takes him from association. Morgan prefers Hillhouse, and Seward wants Blatchford.”25 . John Hay and John G. Nicolay, Abraham Lincoln: A History, Volume IX, p. 91. Thomas Graham Belden and Marva Robins Belden, So Fell the Angels, p. 123. Maunsell B. Field, Memories of Many Men and Some Women, p. 253. Burton J. Hendrick, Lincoln’s War Cabinet, p. 442. John Niven, Salmon P. Chase: A Biography, p. 241 (Letter from Salmon P. Chase to Abraham Lincoln, April 18, 1861). Burton J. Hendrick, Lincoln’s War Cabinet, p. 442-443. David Donald, editor, Inside Lincoln’s Cabinet: The Civil War Diaries of Salmon P. Chase, p. 212. John Niven, Salmon P. Chase: A Biography, p. 364-365. David Donald, editor, Inside Lincoln’s Cabinet: The Civil War Diaries of Salmon P. Chase, p. 217-218 (June 28, 1864). Thomas Graham Belden and Marva Robins Belden, So Fell the Angels, p. 123-124. Burton J. Hendrick, Lincoln’s War Cabinet, p. 445. Lucius E. Chittenden, Recollections of President Lincoln and His Administration, . Burton J. Hendrick, Lincoln’s War Cabinet, p. 443. Philip S. Paludan, The Presidency of Abraham Lincoln, p. 286. John Hay and John G. Nicolay, Abraham Lincoln: A History, Volume IX, p. 93. Michael Burlingame and John R. Turner Ettlinger, editor, Inside Lincoln’s White House: The complete Civil War Diary of John Hay, p. 213. Gideon Welles, Diary of Gideon Welles, Volume II, p. 59 (June 25, 1864). Gideon Welles, Diary of Gideon Welles, Volume II, p. 62 (June 29, 1864). 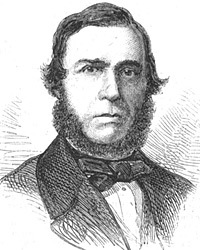 Michael Burlingame, editor, Lincoln Observed: Civil War Dispatches of Noah Brooks, p. 125-126.